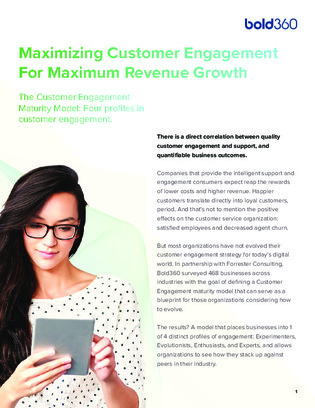 There is a direct correlation between quality customer engagement and support, and quantifiable business outcomes. However, most organizations have not evolved their customer engagement strategy for today’s digital world. Read on to figure out which profile your business falls under.